An exquisite set suited to the smallest home kitchen and largest on-camera cooking arenas alike. 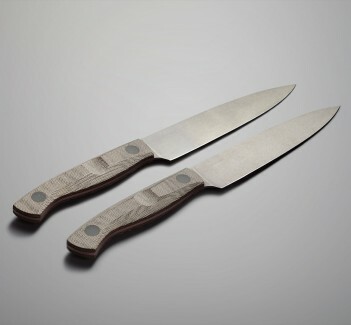 This handmade, one-of-a-kind pair—featuring 12C27 steel, canvas micarta handle scales, and paper micarta pins—has what it takes to make even the most uppity of cutting boards proud to take a cut. 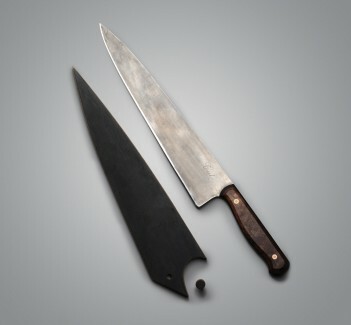 Together, the 185mm chef knife and 150mm santoku can accomplish any task and will have you quickly forgetting about other cutting tools in the drawar. Jesper Voxnaes Design creates innovative and unique products from a variety of materials, with folding and fixed-blade knives being what the artist is best known for. Jesper, a long-time friend of ours and inspiring craftsman, produces his work in his studio in Denmark and builds kitchen knives only for Eating Tools. 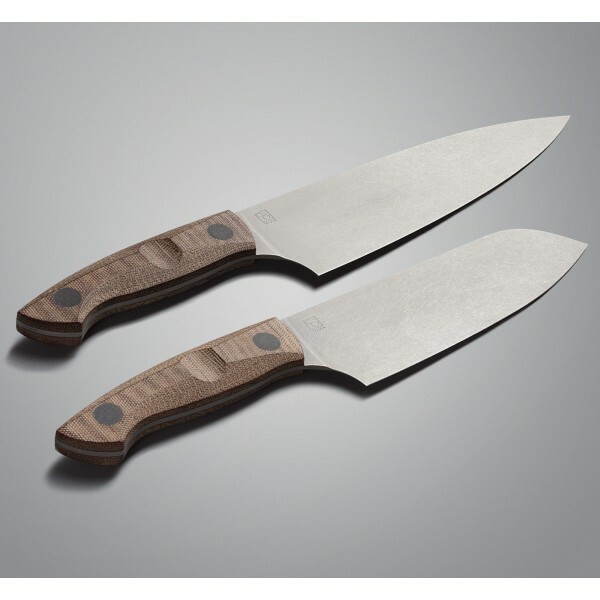 A cut above - excellent knives with a awesome handle, well balanced and super sharp edge. This is truly a master chef's favorite.